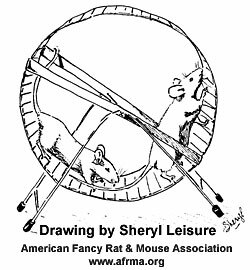 QMy mice once liked their exercise wheel. They were using it all the time. Three days ago (Thursday) they suddenly stopped. The day before they used it but the next day they did not. Otherwise they are playful, active, and healthy. They use the wheel to climb onto their water bottle and do my maze fine. Do you have any ideas on why this happened? ASounds like something could be wrong with the wheel. Have you checked to see that the wheel is not broken or something is jamming it so it cannot spin? Update: Thank you for your advice. My dad said the same thing and the wheel was jammed. We took it to the pet store and they gave us a new one. Now the mice have been going on it all the time. Thank you.